Everett Rogers defined the first theory of change in his 1962 book Diffusion of Innovations. His acclaimed communication book describes the process by which a society adopts new, transformative behaviors. It divides the process into four main elements that spread the new idea: the innovation, communication channels, time, and a social system. One of his key findings reported in the book is that the primary communication channel for the diffusion of innovations is interpersonal relationships. Ultimately, communication between individuals -- conversations over coffee, barbershop talk, a beer at the bar where thoughts and experiences are shared -- multiplies into a critical mass of people adopting a new behavior that revolutionizes an innovation from rare to common. When the innovation is widely adopted, then it becomes self-sustainable. Liberia at the end of 2013 is considered to be one of the most corrupt countries in the world according to Transparency International. This begs the question, "How do you develop a culture of justice that passes out bribes like New Yorkers drink coffee?" According to Everett -- one person at a time. It starts with innovators (typically 2.5% of the population) who lead the early adopters (13.5%) who multiply to the early majority (34%), then the late majority (34%) and finally the laggards (16%). Thomas Tweh is one of those innovators. For many Liberians living in the low-income, high-density neighborhoods of Monrovia, life is a daily struggle. Land disputes, drug problems, domestic abuse, and a lack of basic services, among other issues, are pervasive. When citizens face legal challenges, the lack of legitimacy, affordability, accessibility and timeliness of the formal justice system often prevents any feasible recourse. Extensive bureaucratic red tape coupled with transportation and legal costs, lawyer fees, and opportunity costs of foregone work make the justice system not only physically but also financially unavailable to many. Thomas Tweh, a community leader in the West Point neighborhood, had an innovative idea to resolve these justice issues at the local level. His plan was not to avoid or override the formal justice system, but to collaborate with the police and commissioner’s office to refer cases downwards from the courts to a community dispute resolution mechanism run by volunteer mediators. “The key to this is that the disputes are resolved in accountable and sustainable ways,” Thomas told us. The outcome was to be a process that merged formal and informal tools for accountability and justice in a way that was seen to be fair and equitable by the community, and which saved time, money and effort. 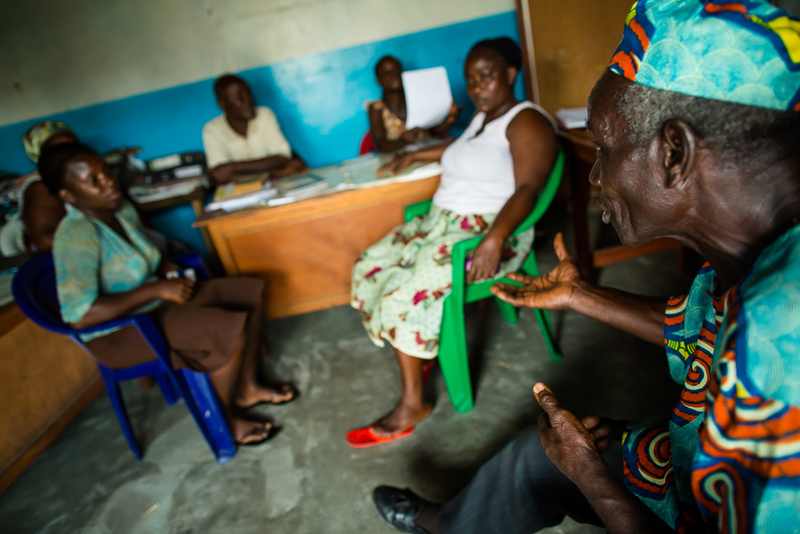 With the Accountability Lab’s backing – in the form of accountability and rule of law training, management support, minimal seed funding and networking opportunities – Thomas and his project co-leader John Kamma developed a Community Justice Team of 8 volunteer mediators. The team has now worked with hundreds of citizens and sustainably resolved over 60 cases, ranging from domestic violence to land disputes – each with carefully written records taken by a trained notary and with the full cooperation of local authorities. Beyond the thousands of dollars and weeks of time saved, the Community Justice Team has started to build a sense of accountability, cooperation, and trust in the community. We are now talking to both the Ministry of the Interior and the Justice Ministry in Liberia about next steps.